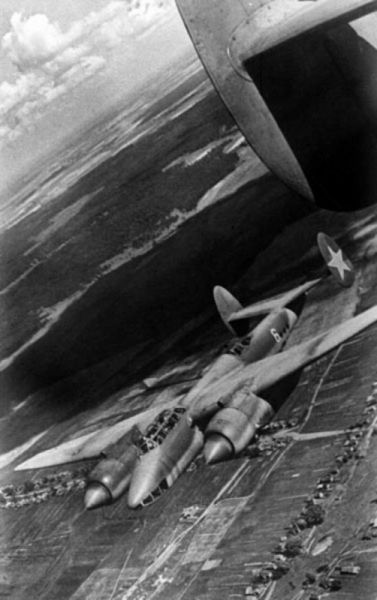 WW2 attack planes of USSR. Specifications and photos. bombs: 4/6x100kg or 6x50kg or 2x250kg or 12/24x25kg or 300/600 kg little cassete bombs. rockets (bombs >= 400kg): 8 RS-82 or 4 RS-132. * Trainers UIl-2, UPe-2 and experimental planes aren't included. *1 Last R-10 models were equiped with M-25E, M-88, M-62, M-63 engines. 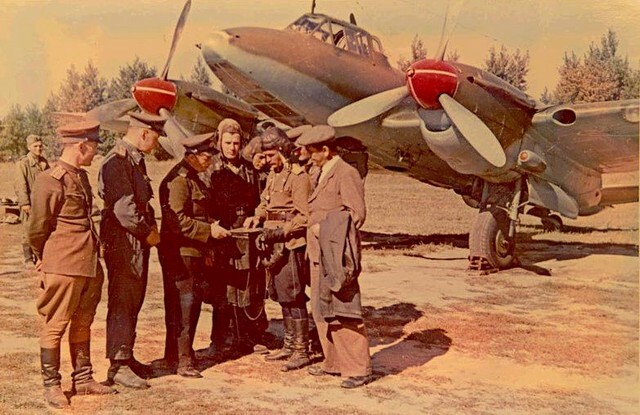 *2 In 1942, about 1200 Il-2 1-seaters got the tail gunners with different MG types. R-10 turn time = 18 sek. Su-2 (with M-87B engine) turn time = 26 sek. Pe-3 turn time = 35sec. Pe-3bis turn time = 30sec. 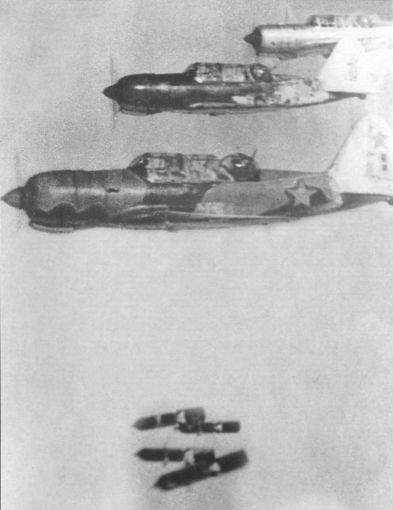 Soviet bombers Su-2, foto WW2. 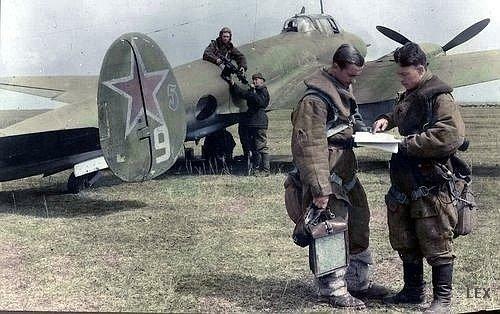 Foto the Russian dive bomber Tu-2 of USSR.